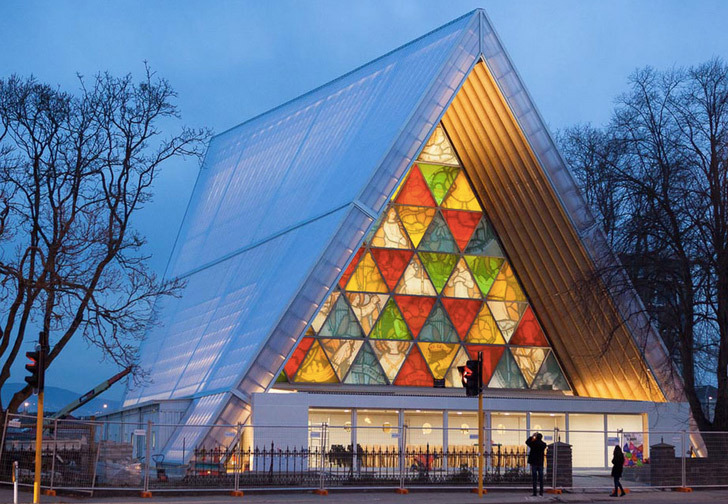 Shigeru Ban Completes Incredible Cardboard Cathedral in Christchurch, New Zealand! 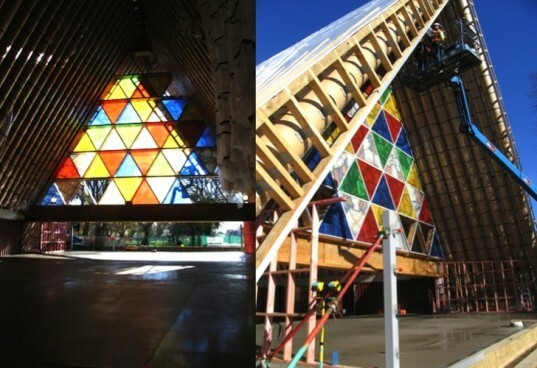 Shigeru Ban's cardboard cathedral in Christchurch is finally complete, and the first service was held on Sunday August 11th, 2013. The incredible cardboard structure is a temporary replacement for an Anglican church cathedral that was destroyed in the February, 2011 earthquake that rocked the New Zealand town. It can hold up to 700 people and it's expected to last the 50 years it will take to build a new church. This is wonderful news. As a sister city of Christchurch, the City of Adelaide is thrilled to hear the Cardboard Cathedral will be holding it's first service this Sunday. Almost a year ago, we spoke with Shigeru Ban about his approach to building with recyclable materials. (You can read the article here: http://bit.ly/OwXb1z ) We can't wait to see some photographs from the opening. Beloved for his numerous contributions to disaster relief and design in general, Japanese architect Shigeru Ban uses cardboard as a construction material in residential, commercial, and public architecture in order to reduce construction waste. Contrary to what one might think, the effect is striking. The Christchurch Cathedral is made with 98 cardboard tubes wrapped around a screen of colorful, triangular glass windows. Image by Jocelyn Kinghorn View to the altar. Image by Jocelyn Kinghorn Below are a series of recycled shipping containers used for chapels and storage space. Below are a series of recycled shipping containers used for chapels and storage space.